Swedish film legend Ingmar Bergman, whose tales of anguished love and loneliness made him one of the 20th century’s leading directors, is back in the spotlight with a series of events to mark the centenary of his birth. Bergman, who died in 2007 at age 89, would have turned 100 on July 14, 2018. To celebrate the occasion, the Ingmar Bergman Foundation has launched a year of festivities around the world. His plays will be staged in numerous cities, and French, German and Swedish documentaries about the filmmaker — tormented by childhood, women and death — are to hit screens. Retrospectives, seminars and exhibitions will also be organised. “Can you imagine, 60 remakes” of his plays have been staged so far, actress Liv Ullmann, one of Bergman’s muses and his onetime romantic partner, told AFP in a telephone interview. “By next year, there’ll be up to a hundred of them. That means the world is fascinated ... They feel that Ingmar has something to say,” said the 78-year-old, who starred in Bergman’s films Persona (1966), Shame (1968) and Autumn Sonata (1978). She also directed Faithless in 2000, based on Bergman’s script. 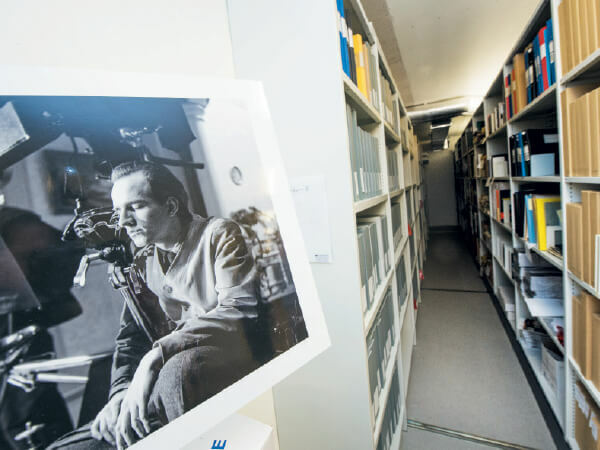 Some of Bergman’s previously unpublished writings, including notebooks, drawings and collages, will be released as well. A feverish writer, his diaries are full of doodles, notes and reflections. While Bergman rose to international fame through his movies, his bleak, powerful and dark storytelling is best expressed on the stage, according to Ullmann. In his plays, his writing is “clearer” to the audience, said the Norwegian actress. The camera’s filter, the violence or the beauty of the scenes, the vivid colours as seen in Cries and Whispers (1972) or the icy imagery Bergman used, create a certain cinematic distance, she said. As part of the centenary celebrations, Hagai Levi, creator of the popular television series The Affair, is to direct a TV remake of Bergman’s 1973-1974 Scenes from a Marriage, which explores the disintegration of a couple’s marriage. The son of a Lutheran minister and a nurse, Bergman, born in 1918 in the Swedish town of Uppsala, north of Stockholm, had a strict religious upbringing, the influence of which is noticeable in many of his films. Bergman had a deep attachment to Sweden, though his work was not always met with the same praise there as abroad. Swedes often felt he gave the country an undeserving reputation for gloominess. A storyteller of Nordic anguish, Bergman’s work is often profound, solemn and challenging, a monument to his fears and passions. His career spanned the second half of the 20th century, alongside film greats Francois Truffaut, Federico Fellini, Roberto Rossellini, Luis Bunuel and Akira Kurosawa. Although Bergman wrote dozens of plays during his time at the Royal Dramatic Theatre in Stockholm, he rose to fame thanks to his films — with recurring themes of sexual emancipation, death and isolation, as in The Seventh Seal and Wild Strawberries, both from 1957. He won three Oscars in the best foreign language film category for Fanny and Alexander (1982), The Virgin Spring (1960) and Through a Glass Darkly (1961). Saraband, shot digitally in 2003 for television four years before his death, was his last film, which Ullmann said he had written for her. She said Bergman made it clear he was done with film at the end of that production. “On the last day of shooting, he stood by the door and said bye-bye and didn’t even stay for dinner,” she said, adding that Bergman flew to Faro, the small Swedish island in the Baltic Sea where he had a home and filmed several of his movies. When Bergman won the prestigious Palm of the Palms award in 1997 at the 50th anniversary of the Cannes Film Festival, he snubbed the ceremony to stay on his island, reinforcing the reputation he had earned as a difficult artiste. “When they start to print his books and his diaries, you will find a man who really wanted to do good in life,” Ullmann said.